After a 10 years break Bugge Wesseltoft restarts his iconic New Conception of Jazz in connection with the bands and record labels Jazzland 20 year anniversary. The original formation hitting of back in 1996 really created a new and fresh boost for european jazz music together with artists like Erik Truffaz and Nils Petter Molvaer. Key element and concept of the group were the blend of electronic clubmusic and live jazz. New Conception of Jazz became the definition and leading figure of Electronic Jazz. Now, hitting 2016 it’s time for a fresh start – kicking off Jazzland Recordings and the groups 20 year anniversary, with all new young musicians. 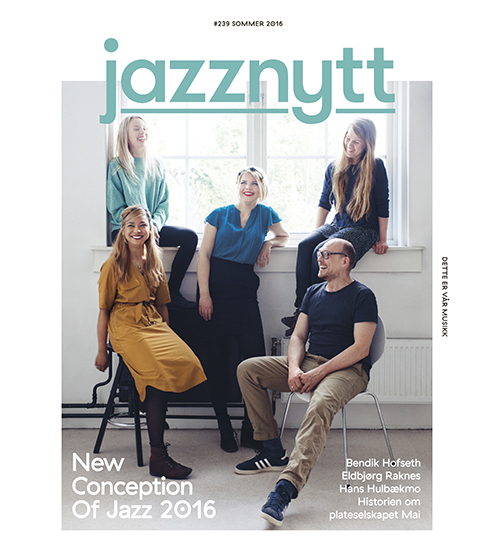 “Members are among norways most promising new musicians” says Bugge “and we are all so exited to play as a formation”.